Dr. Samantha Carolla joins One Community Health as a doctor in osteopathic medicine, focusing on an integrated approach to providing health care. Dr. Carolla graduated from Oregon State University with honors, receiving a bachelor’s degree in biology and minoring in Spanish. During her undergraduate studies, she studied in Santander, Spain through a Spanish immersion program in. Soon after, she attended medical school at Pacific Northwest University of Health Sciences in Yakima, Wash., then completed her family medicine residency at PeaceHealth Medical Center in Vancouver, Wash. While at PeaceHealth, she received extra training in obstetrics and pediatrics, and she also went on a medical mission trip in El Salvador. After her travels there—as well as in Mexico, Costa Rica and Peru—she became much more fluent in Spanish and more culturally competent with patients originating from those countries. Today, Dr. Carolla offers a diversity of services to patients, including osteopathic manipulative treatment (OMT) for many musculoskeletal problems. Other areas of interest include: prenatal care, contraception, diabetes and thyroid disorders. Outside of medicine, she enjoys hiking, backpacking, rock climbing, traveling, reading and practicing yoga. Originally from Ohio, Kristen moved to Oregon to attend Oregon Health & Science University, where she earned her master's in nursing as a family nurse practitioner in 2015 and is currently working on a doctor of nursing degree. Kristen also works as a Sexual Assault Nurse Examiner (SANE) and is an instructor for the Oregon Sexual Assault Task Force. Her special interests include women’s health, adolescent health, mental health, and preventative medicine. Kristen resides in Mosier, Ore., and enjoys painting, backpacking, skiing and anything that can get her outside with her two dogs. Erin Grap received a doctorate of nursing practice and master's in nursing from Oregon Health & Science University. Originally from Virginia, Erin earned a bachelor's degree in human nutrition, foods and exercise from Virginia Tech and a bachelor's degree in nursing from George Mason University. Erin worked as a nurse in emergency medicine and intensive care. As a medical provider, her interests include preventative medicine in rural communities, underserved populations, women’s health, diabetes and pediatrics to geriatrics. After living seven years in Portland, Erin is excited to have made her home in the Gorge. She loves to spend her free time hiking, biking, skiing and doing aerial dance. She is honored to care for families at One Community Health where quality healthcare is a right not a privilege. Dr. Hankins received a B.S. in Neuroscience from Washington and Lee University in Virginia. She then went on to attend Indiana University Medical School, where she received her medical degree. Upon realizing she had a passion for pediatric medicine, Dr. Hankins attended the University of Arizona in Tucson to complete her residency in Pediatrics. In addition, she completed an additional year of study in Chicago for Pediatric Pulmonary. While she’s committed to all areas of health and wellbeing for children, Dr. Hankins also excels at her passion in pediatric asthma and helping children with these specific challenges. Dr. Hankins moved to Hood River with her husband in 2003. Since then, she has continued her work in inpatient pediatric medicine at Randall Children’s Hospital and also worked at Mid-Columbia Medical Center in The Dalles and Northwest Pediatrics and Adolescent Medicine in the past. Today, she is very happy to find a new “home” at One Community Health where she hopes to give the best possible care to her pediatric patients. She is very excited to be part of the One Community Health team. In her free time, Dr. Hankins enjoys spending time with her three children for whom she loves to volunteer doing local activities and sports. She also enjoys playing soccer, skiing and reading. Originally from Beaverton, Ore., Dr. Hoffman is proud to be a provider at One Community Health, serving primarily in The Dalles location. Dr. Hoffman’s educational background includes a bachelor’s in biochemistry from Biola University, a medical degree from Georgetown University, and the family residency medicine program at Providence Oregon Family Medicine. Having spent significant time in India and Ecuador working and living in a rural setting, she’s cultivated a great appreciation for rural health care. She is also proficient in Spanish and brings that skill to her job today. Outside of work, Dr. Hoffman enjoys exploring the great outdoors with her husband and close friends. In particular, she loves camping, backpacking, traveling, cooking and listening to the sounds of the wilderness. Originally from Michigan, Sondi Koch holds a bachelor’s degree from St. Olaf College and a master’s degree for Physician Assistant Studies from Pacific University. Special interests include preventive health, women’s health, farmworker health, pediatrics and adult health. She particularly enjoys helping patients prevent disease and live a healthy lifestyle. She speaks Spanish, having studied in Mexico and in Central and South America. She is married with one child and enjoys hiking, gardening, cross country skiing and music. Mariah came onboard after serving at One Community Health as one of our chief residents. She chose family medicine as it was a natural fit for her holistic perspective on health and the importance she places on sustained relationships with her patients. Mariah has specific interests in integrative medicine, women's health, office-based procedures, palliative care and global health. The Hood River Rural Training Program was a perfect fit for her sense of adventure, her passion for working with underserved populations, her love of the outdoors, and her desire to work with like-minded, compassionate and inspired practitioners. She feels extremely lucky to have found a program with so many excellent, kind teachers and role models--a program that fosters individual growth within a supportive community. When not working, Mariah can be found playing outside with her husband and dog, attempting to cook endless amounts of vegetables from her CSA, or attending social and community events in the Gorge. Dr. Moreno grew up in rural southwest Washington and is excited to be back home in the Northwest. She received a bachelor’s degree from Willamette University before joining the Peace Corps, where she worked on health education projects in Paraguay. She is fluent in Spanish. After returning to the United States, she completed medical school at the University of Washington, followed by residency at the University of Colorado in the Internal Medicine Primary Care track. Professional interests include management of chronic disease, addiction medicine, and helping patients understand and take personal control of their health. Outside of work she enjoys spending time with family and her dog. Dr. Moreno loves cooking, gardening, traveling and exploring all the outdoor activities the Gorge has to offer. Originally from Alabama, Brooke moved to Oregon to attend the University of Portland, where she earned a Bachelors of Nursing. She then completed her Masters of Nursing as a Family Nurse Practitioner at Duke University. 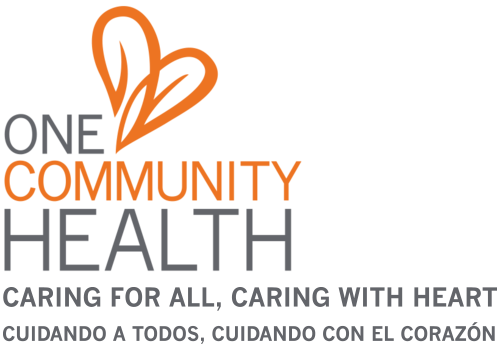 Brooke joined One Community Health in 2013 as a nurse diabetes educator in our Salud program and continues to work with our community health workers on health promotion initiatives, outreach to migrant farm workers and diabetes care management services. Her professional interests include public health, diabetes education, women’s health, pediatric and adolescent health and chronic disease prevention. She speaks Spanish and is proud to work alongside a team of dedicated bilingual healthcare providers at One Community Health. She enjoys trail running, cycling and backpacking in the mountains of the beautiful Pacific Northwest. Originally from Salem, Ore., Dr. Speck holds a degree in Biology from California Lutheran University, a medical degree from the University of Vermont School of Medicine, and completed her residency in Family Medicine at the Oregon Health Sciences University affiliate in Klamath Falls. She brings with her years of experience in caring for children, adolescents and adults. She is proud to work at One Community Health, a place where she and other providers challenge themselves every day to better serve their patients and the community. Dr. Speck enjoys reading, sports and playing guitar. Originally from Medford, Ore., Lisa Sponhauer received her Bachelors of Science in Nursing from Oregon Health & Sciences University, Portland in 2000. She completed her master's in nursing at Washington State University, Vancouver, Wash., in 2012. Lisa has extensive experience in public health, pediatrics and adolescent health. Professional interests include pediatric/adolescent health, young adult health, women’s health, mental health and preventative medicine. She has two school aged children , and has lived in the Gorge since 1994. Lisa enjoys skiing, cycling, trail running and spending lots of time with her very active children. Talk to Mike Pendleton, MD and you’ll quickly learn he’s the kind of person who has always enjoyed supporting the lives of those who don’t have ready access to healthcare. As such, he’s worked extensively in that arena of care both in the United States and abroad. Through these professional adventures, he’s embraced and built appreciation for challenges, a creative approach to care, and the unique cultures and communities in which he’s lived and worked. Dr. Pendleton’s formal education includes a bachelor’s degree in environmental studies from Antioch College, a doctorate degree in medicine from the University of Pennsylvania, and his residency at the University of California David, Sacramento Medical Center. He has been a member of the clinical faculty at six medical schools (two outside the U.S.) and believes strongly in the teaching component of the medical industry and the welfare of society. As many of his professional colleagues have or currently work at One Community Health (OCH), Dr. Pendleton has been familiar with One Community Health since its inception and is thrilled to be working with them once again. In his spare time, he likes to swim with Hood River Valley Masters, cycle in the great outdoors, and spend time with his 12 grandchildren.